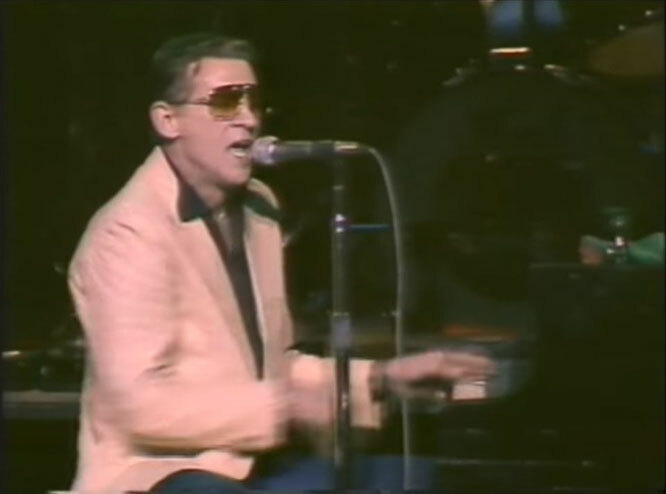 Jerry Lee Lewis performs "Chantilly Lace"live Video. "Chantilly Lace" is the name of a rock and roll song written by Jerry Foster, Bill Rice, and Jiles Perry "The Big Bopper" Richardson, the last of whom released the song in August 1958. The single was produced by Jerry Kennedy. A 1972 version by Jerry Lee Lewis was for three weeks a No.1 hit on the Billboard Hot Country Singles chart and a top fifty pop hit in the US and a Top 40 pop hit in the UK.